Indoor air with excessive moisture is a major problem in many Charleston homes, and it's also a condition that leads to mold, mildew, and fungal growth. Excessive moisture in your Charleston home can also promote termite activity, which will cause hardwood floors to cup and bucks, and it can significantly impact your home's indoor air quality. If you've discovered excess moisture in your home, or if you believe moisture is causing one of the aforementioned problems, GLS Engineering can provide you with professional moisture control services. After conducting an interview with you to discuss your concerns and learn about the history of your problem, we'll perform an investigation to determine the source (or sources) of you indoor air's excessive moisture. Then, we'll help you develop a strategy to effectively manage the problem. If corrective measures are required to address any excessive moisture in your Charleston home's indoor air, GLS Engineering is available to install the necessary systems and equipment, thereby providing the customer with a comprehensive diagnosed, designed, and installed solution. Our Charleston mold testing professionals have the equipment, skills, and expertise to thoroughly and accurately analyze the moisture levels in your home. We'll then determine the source and find the best solutions. If moisture problems are not remedied, they can lead to mold growth, which can have huge and negative effects on any member of your household. Mold may remain totally hidden for years before you're able to find evidence of it. But one way you can prevent mold from developing in your Charleston home is to have the moisture levels in your home analyzed. High moisture levels in your indoor air can also be a major problem for your home's durability. Wood-destroying fungus becomes active with 28-30% moisture. High humidity and condensation can easily elevate the moisture content of a crawl space and the wood in your home to 37% or higher. If the excessive moisture condition is not discovered and corrected, the wood will rot to the point where it needs to be replaced, which is a much more expensive and time-consuming project than preventative moisture control. Do You Need a Moisture Analysis? Odors - Odors may indicate a presence of mold or mildew growth in your home. 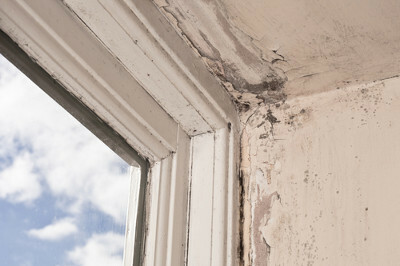 Mold - If mold is growing in your home, there's a good chance that it's being caused by high levels of moisture. You should have your home's moisture levels inspected to find any other problem areas before mold develops elsewhere. Allergic Reactions - If someone in your home is sneezing frequently or has a runny nose, red eyes, or any allergic symptoms, it could be the result of mold, mildew, or fungus growth that is being caused by high moisture levels in your home. If you are looking for Moisture Analysis services in Charleston, call GLS Engineering at 843-881-4803, or fill out our online request form.